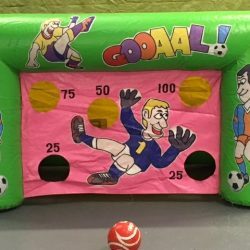 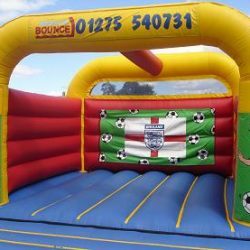 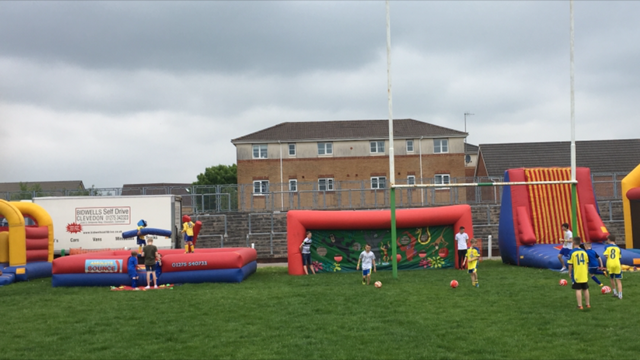 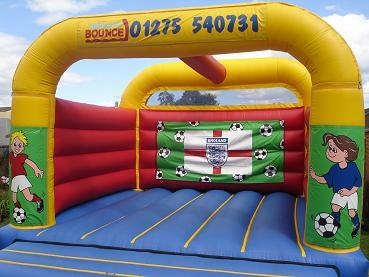 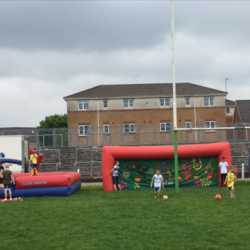 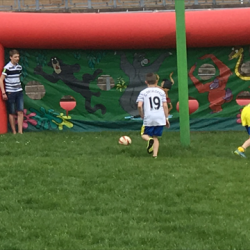 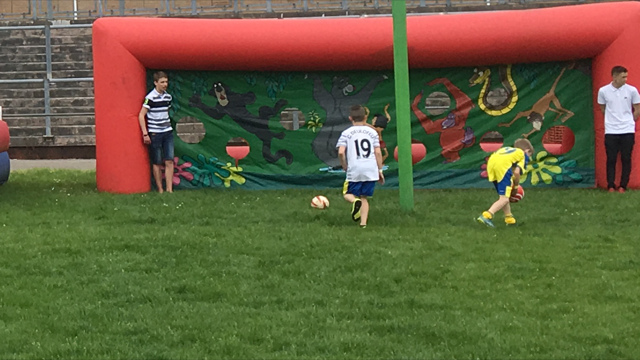 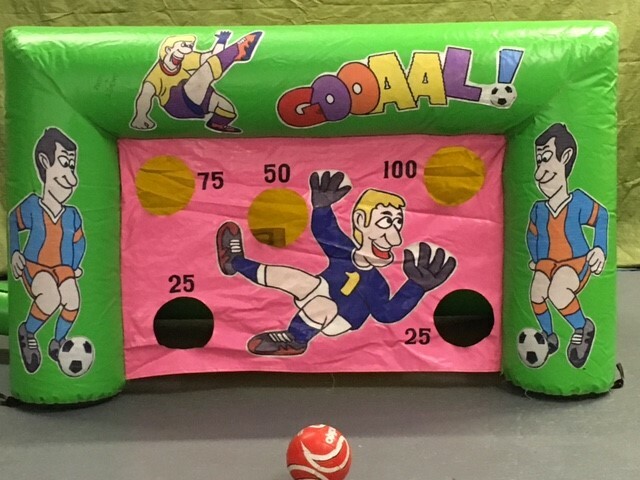 15×15 Football castle ideal for kids upto the age of 14. 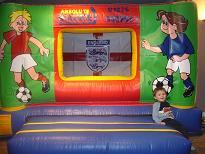 £70 per day. 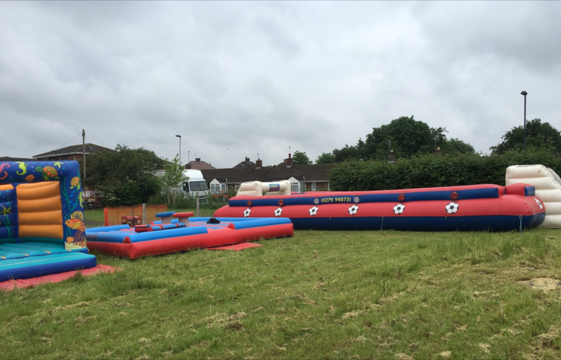 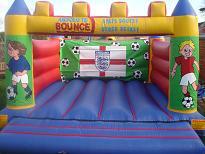 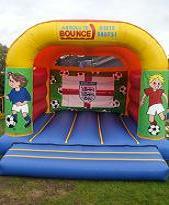 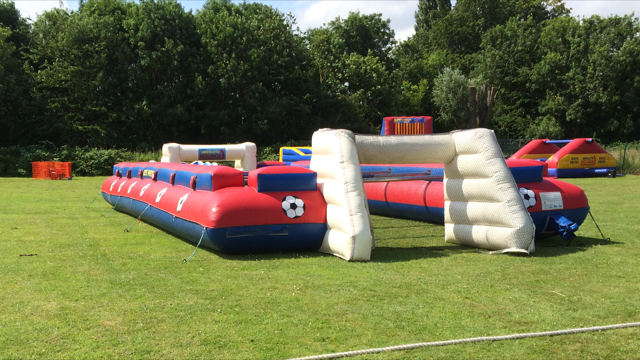 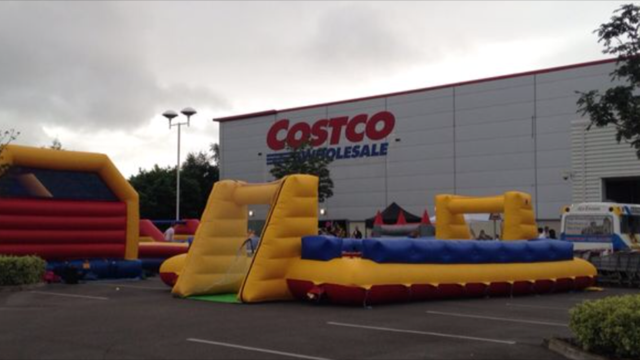 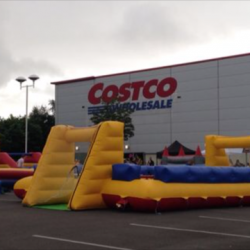 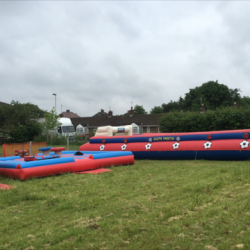 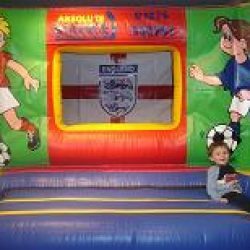 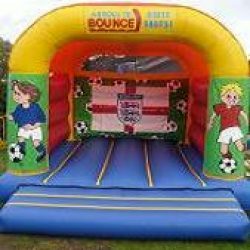 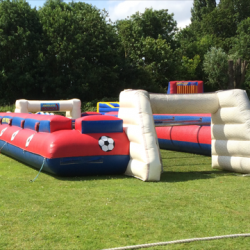 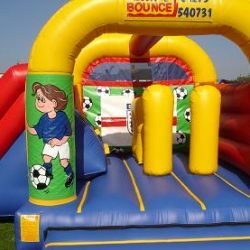 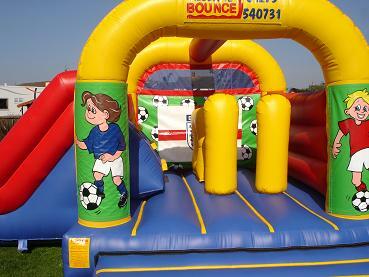 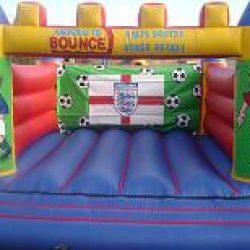 15×17 Castle/Slide Combo Just £85 per day.